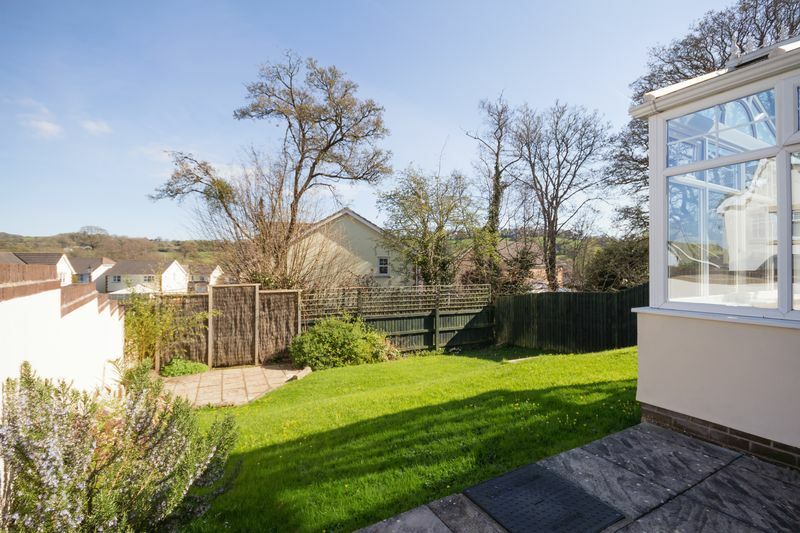 A particularly attractive and well presented four bedroom detached home occupying a corner plot, with a stunning open plan kitchen/breakfast room, double driveway and a beautiful garden with various seating areas. 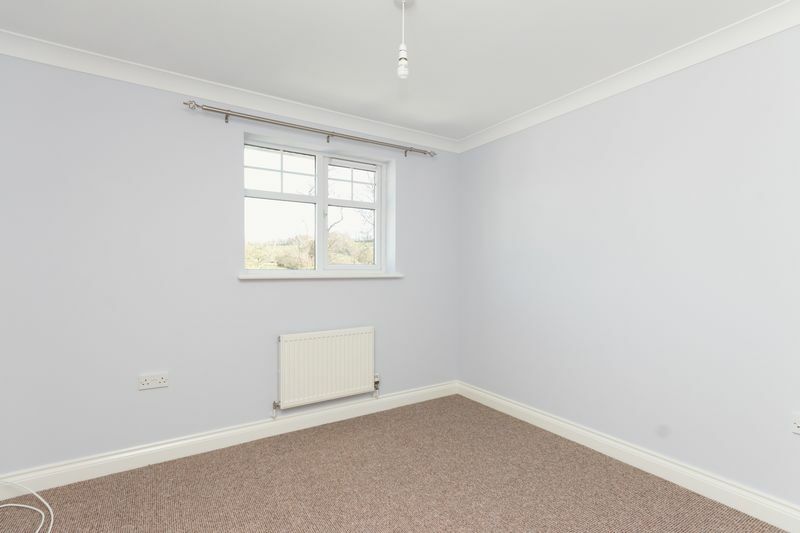 The property benefits from the addition of a conservatory enjoying a pleasant outlook across the garden. You enter the property into the entrance hall where stairs rise to the first floor landing. There is a downstairs cloakroom comprising a WC, wash hand basin and window. 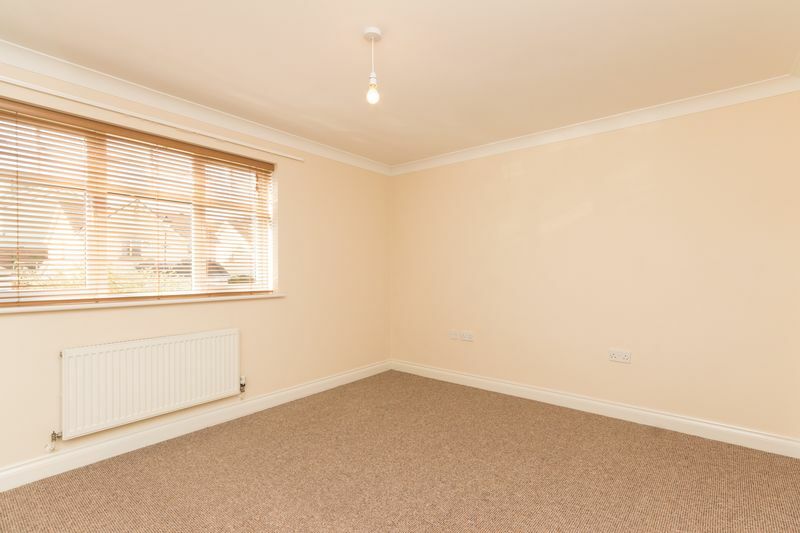 The living room is a good size with a large cupboard under the stairs and a large window overlooking the front garden. 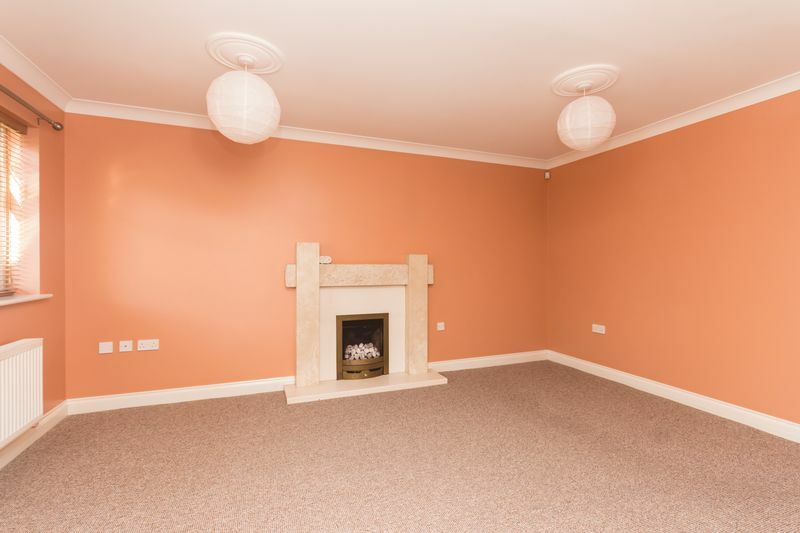 A stylish stone fireplace and electric fire inset creates a focal point. 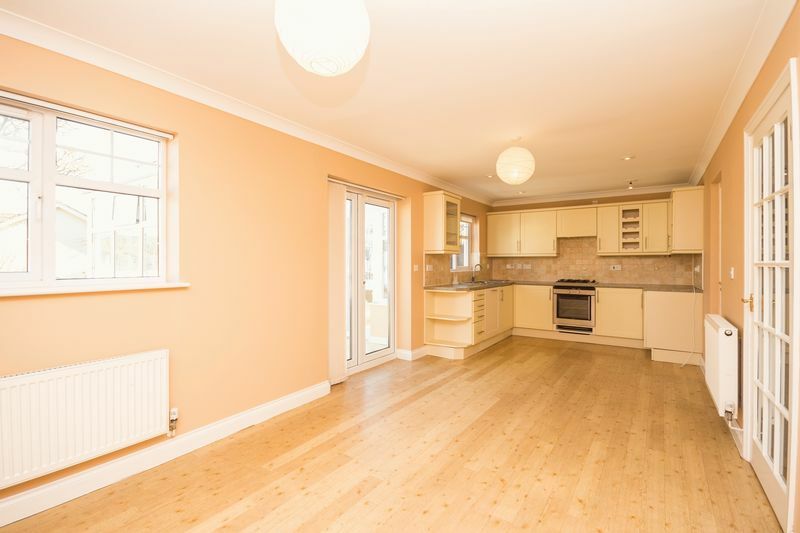 The kitchen/diner stretches the entire width of the house and is a fantastic family space. French doors open into the conservatory, a perfect spot to relax and look out over the rear garden. 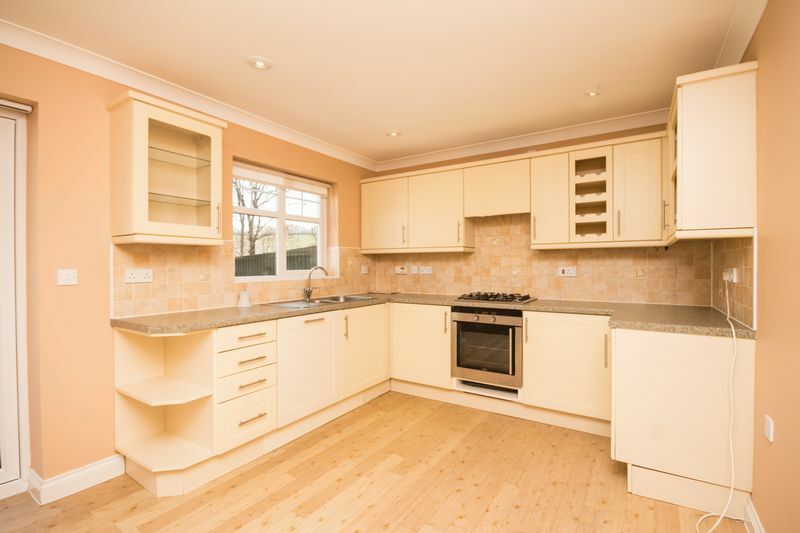 The kitchen has a good range of matching eye level and base level units with a sink positioned to enjoy views over the garden. The work surface is complimented by the neutral coloured wall tiles. There is an integrated electric oven and four ring gas hob. The kitchen is finished with wood laminate flooring. There is a door through to the garage, a section of which is used as a utility room with space and plumbing for a washing machine. There are also base level units and a further sink. From the kitchen, French doors lead into the conservatory, which has triple aspect windows overlooking the garden. Double doors lead onto a patio to one side and a single door leads onto a further patio to the opposite side. 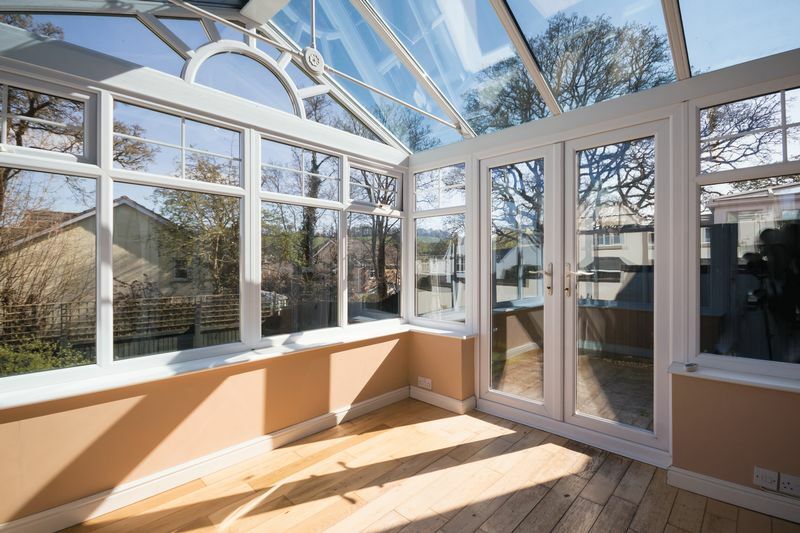 The glass roof makes this a particularly bright room throughout the year. There is also a handy air conditioning unit for those hot summer days. 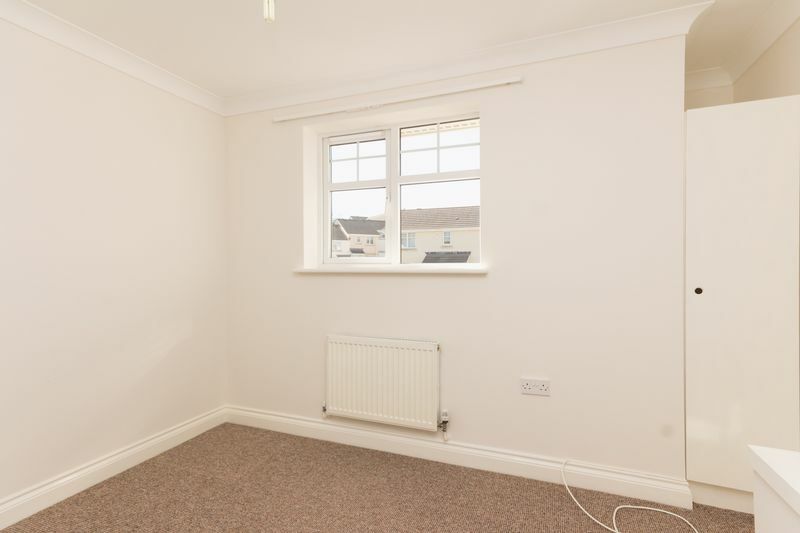 Upstairs is light and airy with each bedroom having lots of natural light. 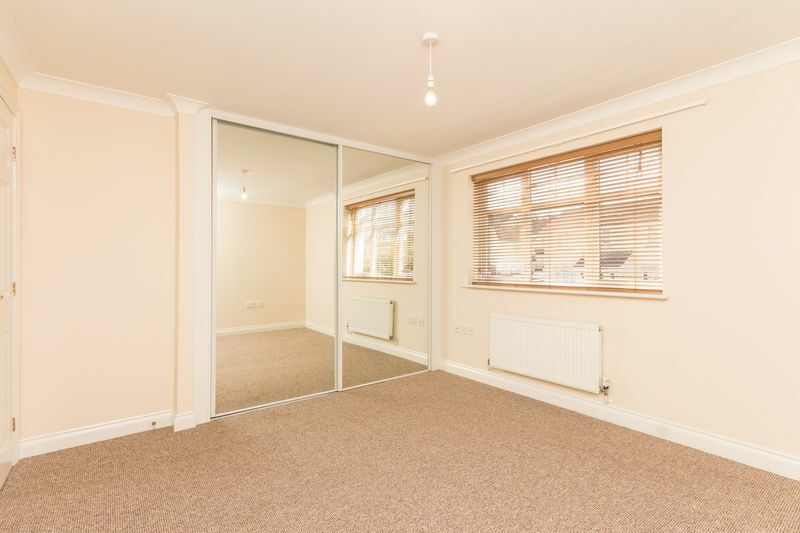 The master bedroom is of a great size with built in floor to ceiling mirrored wardrobes and an en-suite shower room. 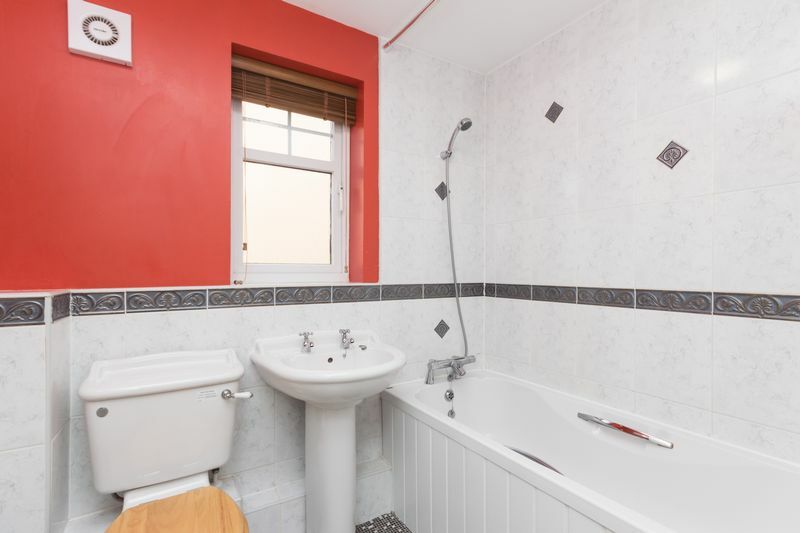 The en-suite comprises a wash hand basin, WC and shower cubicle. 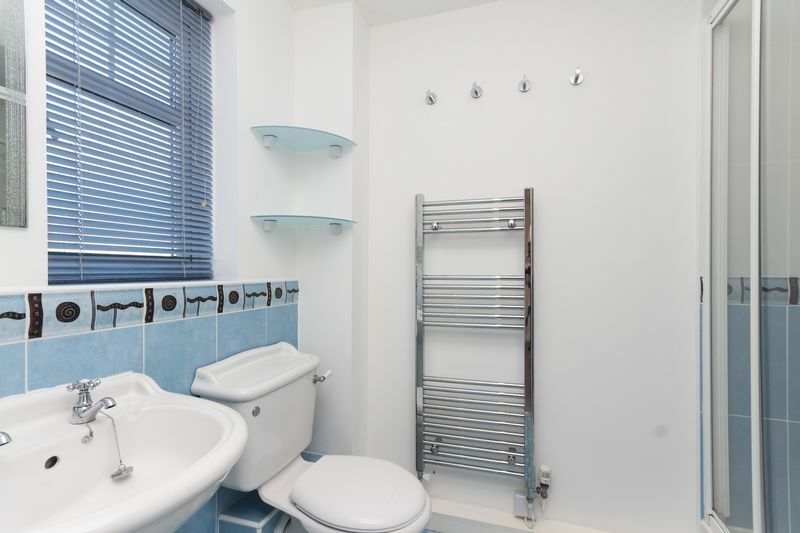 Partly tiled walls and a heated towel rail. 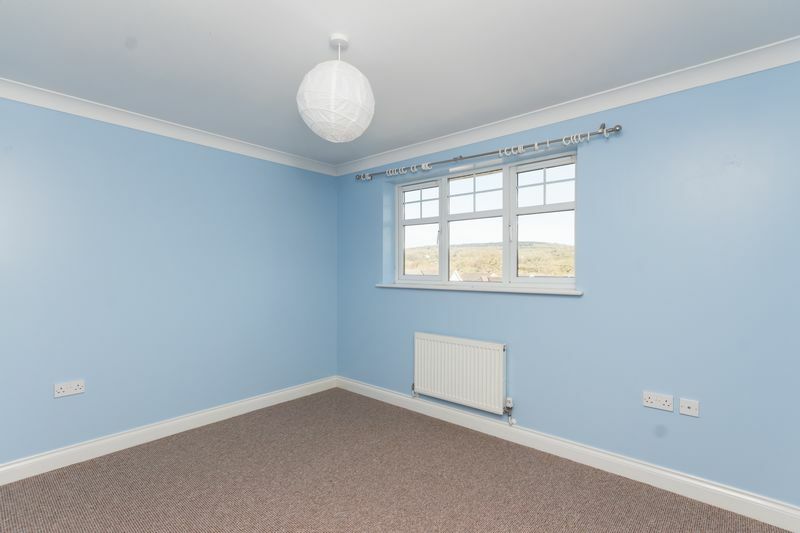 There are 2 further double bedrooms, one with built in wardrobes and both with splendid far-reaching countryside views. Bedroom four is a good size single room. An airing cupboard, further storage cupboard on the landing and the family bathroom complete this floor. 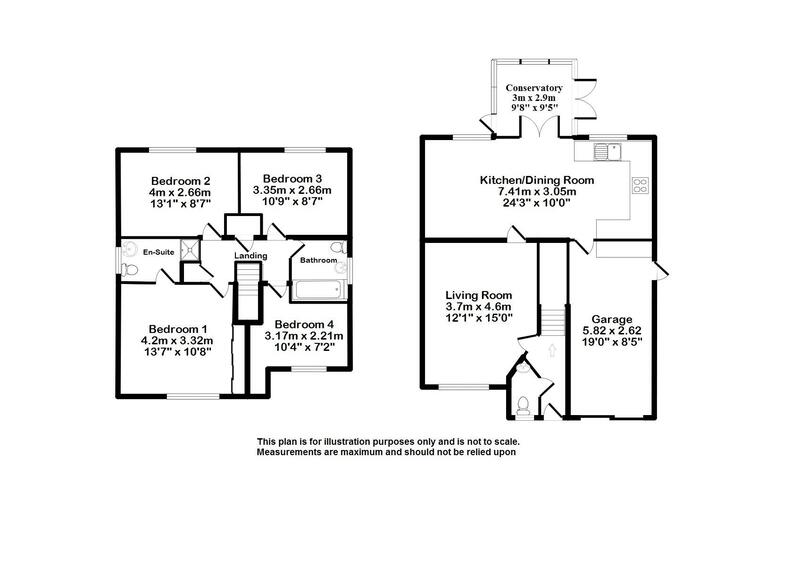 The family bathroom consists of a 3 piece white suite to include a wash hand basin, bath with shower over and WC. 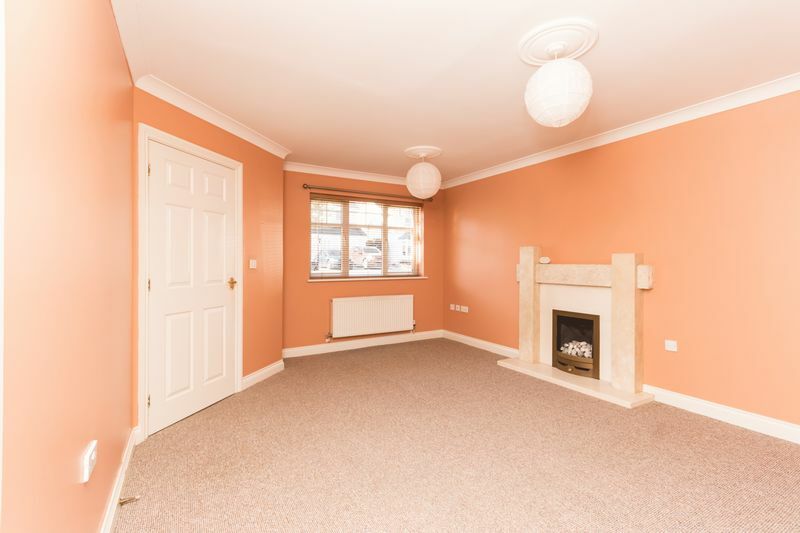 The property is approached via a double driveway providing a good amount of off-road parking. There is an area of low maintenance garden laid with stone chippings with a tree providing a pleasant outlook. A paved path leads to the front door. 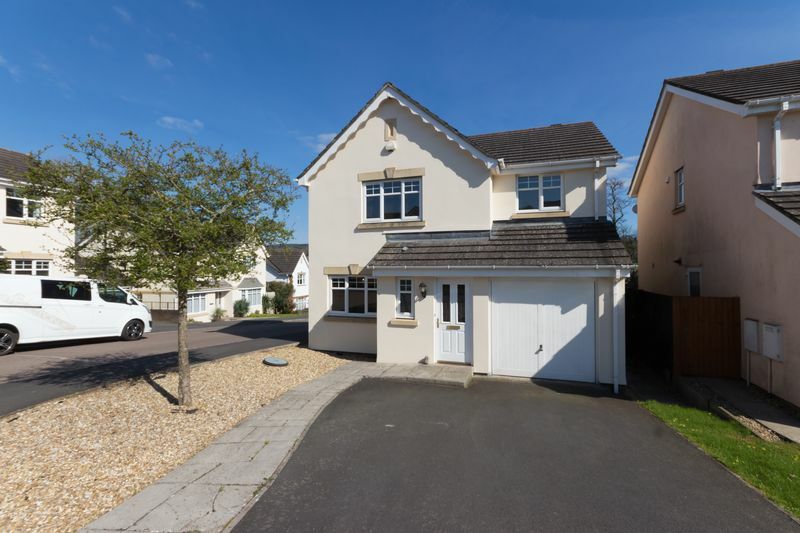 The garage is of a good size and comprises a utility area to the rear and side door to the rear garden. There is pedestrian access to the side of the property. 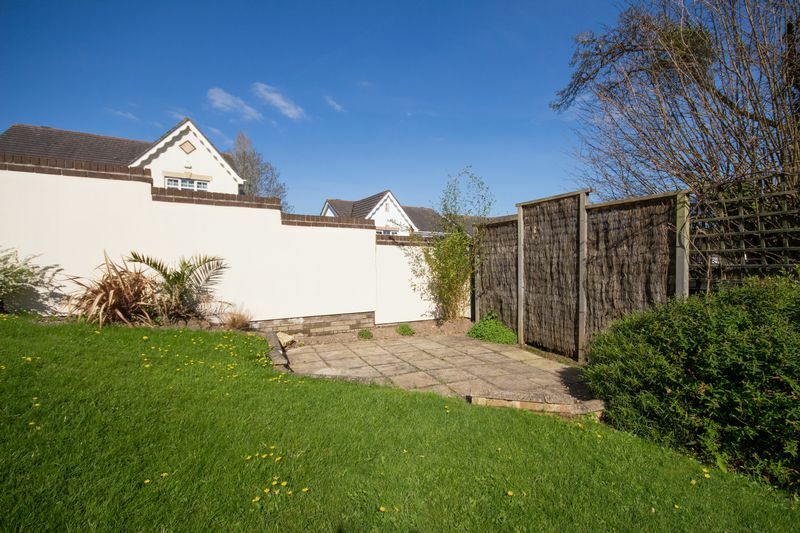 The rear garden enjoys a sunny aspect and is laid to lawn with enjoys far reaching views across the countryside. From the conservatory, doors lead out onto an area of patio either side - one of many perfect spots for a table and chairs ideal for alfresco dining in those summer months! Steps lead to a further level of garden where there is an additional patio area which would make a great BBQ spot! The remainder of the garden is laid to lawn.